Choosing the right 3D printer while being inexperienced is nearly impossible without help. This article has been written to provide all potential buyers with support. 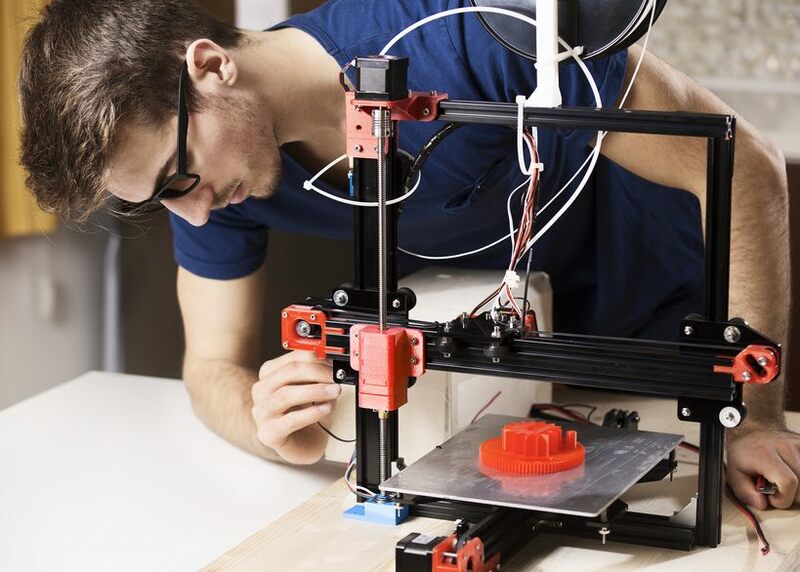 Let’s check the list of the 5 best 3D printers for beginners. To make this list more impartial, we put all devices in alphabetical order. “The LulzBot Mini is a high-performance desktop 3D printer that’s perfect for home users, makers, designers, engineers, architects, and anyone who looks for an easy-to-use desktop 3D printer” – this is how the device is described by its manufacturer – Colorado based company named Aleph Objects. What really surprises is that these words were fully confirmed by the customers’ community. LulzBot Mini claims to be ready to use 15 minutes after un-boxing What is more, the software and documentation of this 3D printer is easy to understand, even by newcomers. The only drawback of this machine is an open frame that should reduce the quality of 3D prints. In fact, many users consider the printer’s quality as excellent, so it doesn’t seem like a problem at all. Another 3D printer on this list is MakerBot Replicator+, a machine created by MakerBot Industries, one of the global leaders in desktop 3D printing. As a newer version of the original Replicator, some features of this machine have been improved. These include speed and build area improvement and some changes in dedicated software that makes it more suitable for professionals. But don’t worry, the MakerBot Print app is a software that enables you to choose from various levels of complexity. As a result, it is perfect for beginners, as well as professionals. Other features of this device are: Smart Extruder+, which enables to replace an element easily, a variety of ways to connect with the machine (Wi-Fi, USB, Ethernet), and a rigid frame and heated bed that have a positive impact on quality and repeatability. This is the most expensive printer on the list. 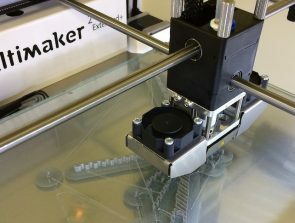 Its price, which is about $3500, comes from some major improvements that were made by the manufacturer in comparison to the previous model – the Ultimaker 2+. One of the most important changes that were introduced is the number of extruders that was changed to two. Thanks to that, the printer’s user is now able to 3D print using two filaments of different color or type at the same time. Setting up this machine is really easy, even for beginners. The whole process is to plug two cables, place the build platform, turn the device on and follow the steps shown on a display. The Ultimaker 3 uses open-source software called Cura. Once again, this kind of software is suitable for beginners as well as professionals, because of the possibility to switch between beginner and expert modes. Maintenance is also very simple. As opposed to the previous device, this printer is the cheapest. You can purchase it for approximately $500. This machine is of course worth recommending, but customers have to be aware of some drawbacks. First of all, when it comes to quality, Da Vinci does not represent high-end desktop printers, so in most cases your 3D printings could have less quality than other printers from the list. 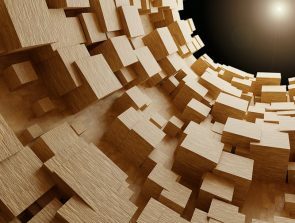 What is more, the device setup is not as intuitive, so once a customer buys it, he or she has to go through a slightly more complicated process.. The usage of the software is similar to other 3D printers in the list – it should be suitable and intuitive for 3D printing beginners. This printer wasn’t put on that list by accident. As an award winner in the 3D Hub competition for the best plug ’n’ play device, The Zortrax M200 is one of the best possible choices for beginners. Its excellent printing quality, – that sometimes reaches even industrial level, reasonable price and very consumer-friendly setup are what makes this machine one of the top graded prosumer 3D printers in the world. When it comes to setting up the device, the user will find that the process is mostly automated with just some manual adjustments, which are guided by the printer. The only drawbacks of this machine are limited material availability, and only one way to connect with machine (SD card). The first drawback mention has been overcome by the manufacturer by updating printer’s software and allowing external source materials to be used. 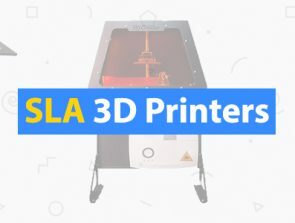 This is the list of the most recommended 3D printers to be used by beginners. The main criteria followed to create it were: ease of setup after unboxing the 3D printer, intuitive maintenance, and being software friendly for newcomers. In most cases printing quality is at professional level. As a result, these are the 3D printers that enable unexperienced customers to print excellent models. Check it out and choose one that suits you the most!